BOSSIER CITY, La. August 7, 2015 – Because the show must go on, what served as a canopy-style roof at the Miller Outdoor Theater in Houston needed repairs in short order. 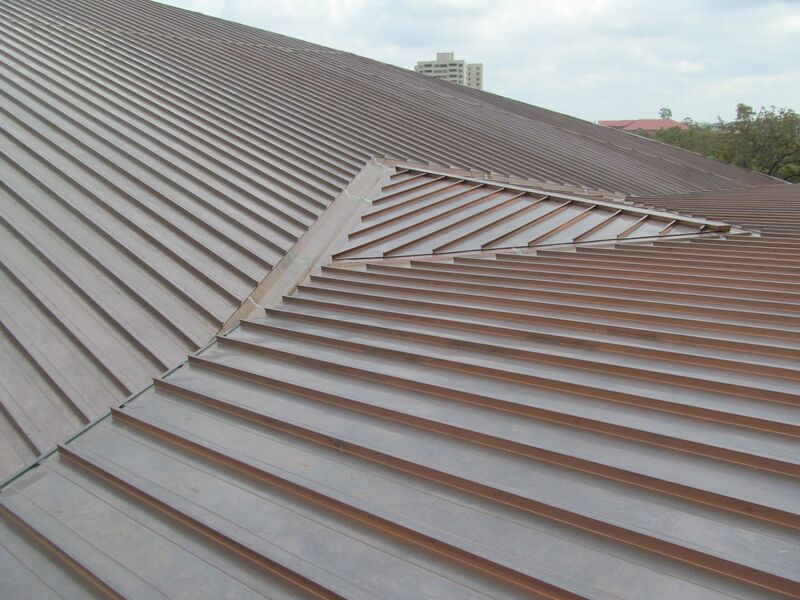 Byrne Metals installed more than 18,000 square feet of copper 238T standing seam panels during the 5-month offseason by calling in the roll former from McElroy Metal that runs panels right onto the roof deck. 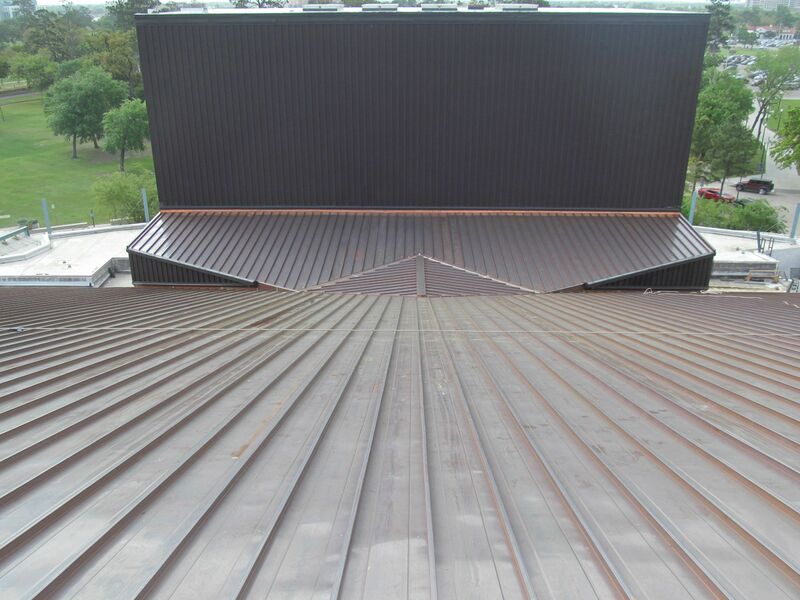 The roof area between the existing Cor-Ten superstructure was framed with purlins, a metal deck was installed on top of the purlins, then a 1-1/2-inch nail base was installed over the deck along with ice and water shield. A giant reverse-slope diverter was built at the intersection, where the sloping roof connected to the stage wall. Valleys were lowered below the roof plane and there was a slight change in pitch that was overcome by rounding the insulation/plywood over the pitch change. McElroy Metal’s jobsite production equipment simplified the process of installation and made the jobsite safer. The roll former was hoisted to the eaves on a scissor lift where panels were conveniently run onto the roof. Not only did this method eliminate the need for an expensive crane to get panels on the roof, it was safer as some of the panels were up to 110 feet long. Because of the unique shape of the roof, panels were cut to fit on the roof.